"Success is not final, failure is not fatal; it's the courage to continue that counts." 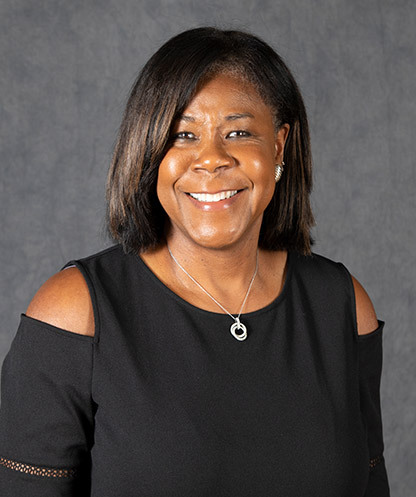 Director of Women's Basketball Administration and Operations Willette White is in her eighth season on the University of Utah staff, bringing over 30 years of experience to the Utes. White is responsible for all long-term and short-term projects that are essential to the program and the student-athlete experience at Utah, including organizing daily and weekly schedules, team travel and player management among other duties. She was an integral part for the women's basketball program in the development of the $23 million Jon M. and Karen Huntsman Basketball Center, which was completed in the fall of 2015. White has plenty of experience around the Pac-12 Conference to share with her peers on the coaching staff. White came to Utah after three seasons at Oregon (2006-09). Prior to her stint with the Ducks, she spent six seasons at the helm for the Northeastern Huskies, guiding the program's transition from the America East Conference to the Colonial Athletic Association. White spent seven seasons as associate head coach at UCLA, joining the staff in 1993. The highlight of her time in Westwood was the 1998-99 campaign, when the Bruins won their first Pac-10 championship and advanced to the national quarterfinals as a No. 3 seed. It was UCLA's first-ever trip to the Elite Eight, and the Bruins finished with a mark of 26-8 after falling in the West Region final. White helped mold several standout players at UCLA, most notably Maylana Martin (Douglas), who was a first-round pick of the WNBA's Minnesota Lynx in 2000. White spent eight seasons at Washington prior to her stint at UCLA. During her time in Seattle, the Huskies compiled a 181-59 record (.754), won three conference titles, and reached the NCAA Tournament seven times. In 1990 the Huskies were Pac-10 co-champs, earned a top seed in the NCAA Tournament Mideast Region, finished with a school-record 28 wins and were ranked third in the nation at the end of the year. The Huskies handed national champion Stanford its only loss of the season. White has also spent time with the USA Basketball program. She served as an assistant on UConn coach Geno Auriemma's staff for the 2001 U19 Junior World Championships, helping lead the team to a bronze medal. She also spent time on the USA Basketball Women's Collegiate Committee from 2001-04. A native of Tacoma, Wash., White was a standout performer at Clover Park High, graduating in 1977. From there, she attended Green River Community College for two years before transferring to Idaho. She led the team to back-to-back NCWSA Northwest Region Titles (1980-81) and a pair of berths in the AIAW Division II national tournament. A two-time AIAW All-Region Team honoree, she was selected as a Division II All-American in 1981. White is currently ninth in school history with 356 career assists in just two seasons in Moscow. Her 206 assists in 1979-80 is the third-most in a single season by a Vandal and her 89 steals in the same season ranks seventh. White's 15 assists against Alaska Fairbanks on Feb. 16, 1980 is tied for the third-highest single-game total in Idaho history and her nine steals against Carroll College on Nov. 30, 1979 is tied for fourth. She also scored 11.5 points per game during her career as a Vandal. In 1992, White was inducted into the Northwest Athletic Association of Community Colleges' Hall of Fame. She entered the Vandal Athletics Hall of Fame in 2008. White received a Bachelor's Degree in general studies from Idaho in 1982 and went on to earn a Master of Arts degree in athletic administration from Ohio State in 1984.